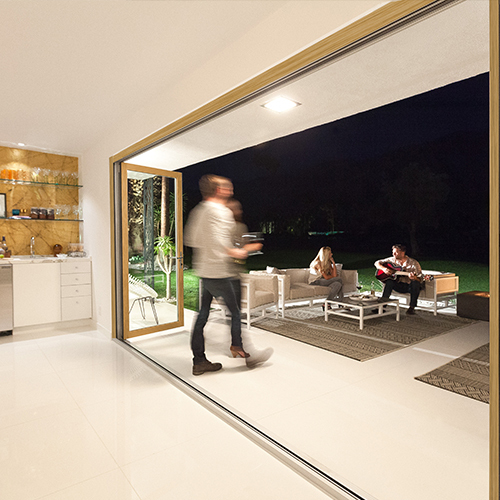 LaCantina Doors offer a dynamic and lifestyle changing solution that transforms and innovates open spaces. 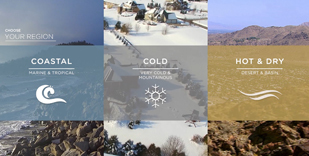 Our comprehensive range of products are well suited for many different environments and climates throughout the United States and Internationally. 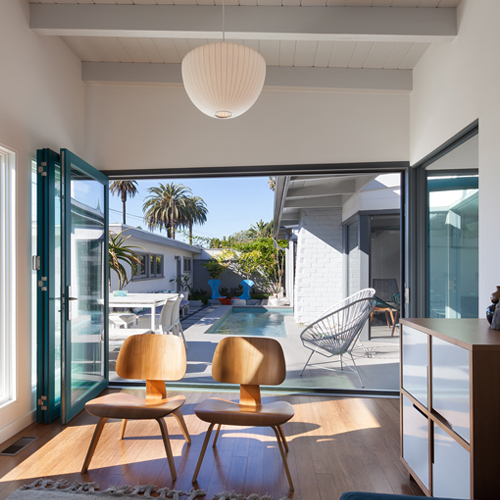 From contemporary to traditional, from urban to rural, from the coastline to the mountains, LaCantina Doors will enhance and compliment any architectural style. 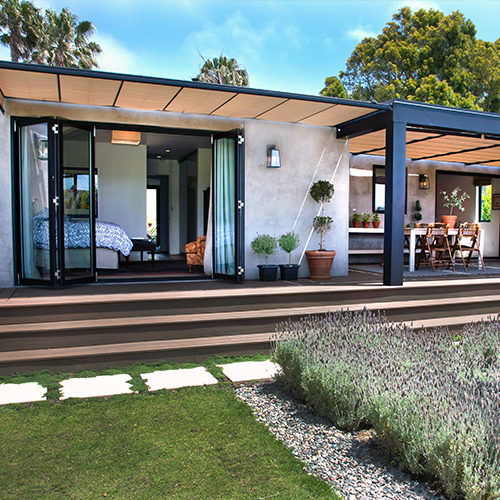 A LaCantina system is perfect to create an outdoor living experience for any home. 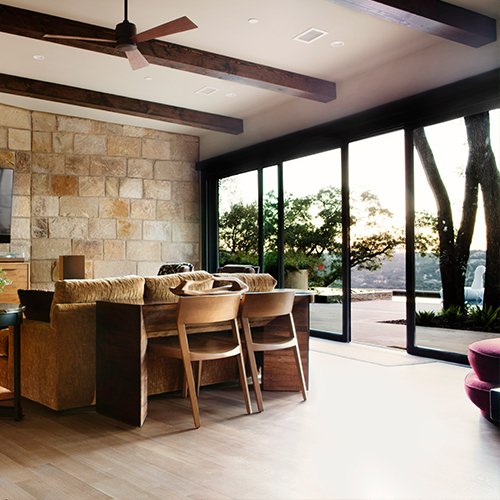 By eliminating a wall or typical patio doors, LaCantina Doors removes the distinction between the indoors and outdoors creating a healthier more comfortable environment with natural light and open air. 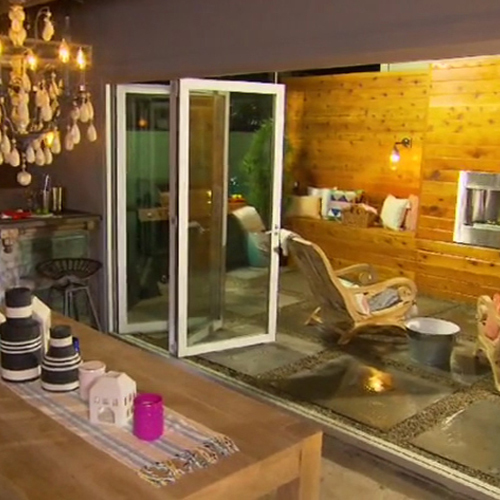 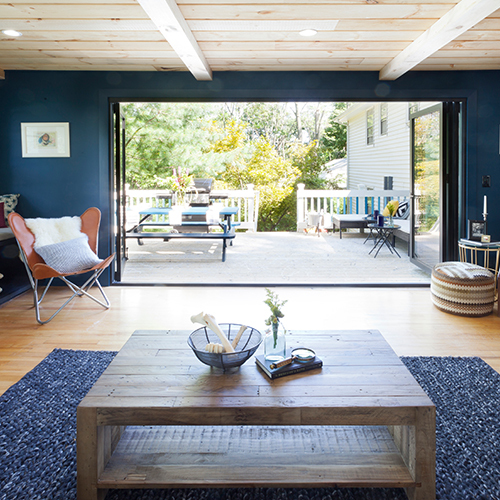 Completely transform space and open up a living room or kitchen to connect to the outdoors and entertain. 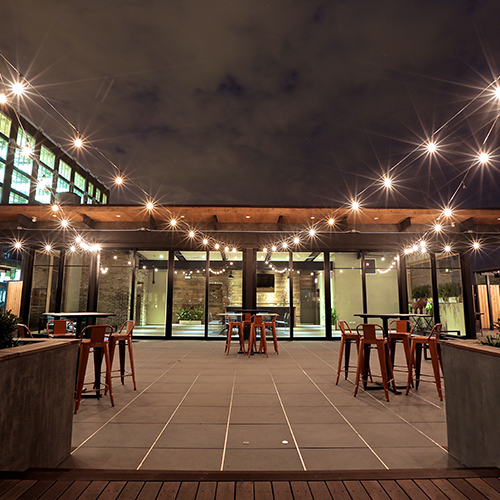 A LaCantina door system provides a unique opportunity for restaurant and retailers to attract customers and maximize valuable and costly commercial space. 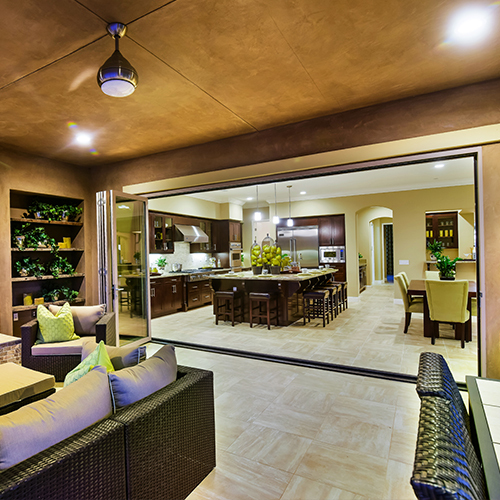 Whether creating a true al fresco dining experience or capturing a shopper’s attention, LaCantina Doors interior and exterior applications are a dramatic design element. 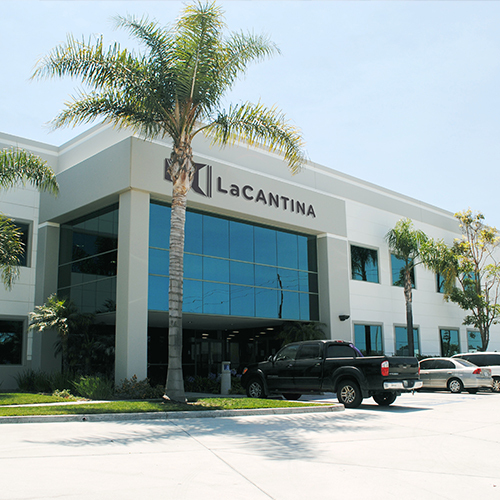 A LaCantina system offers endless possibilities for resort and hospitality properties. 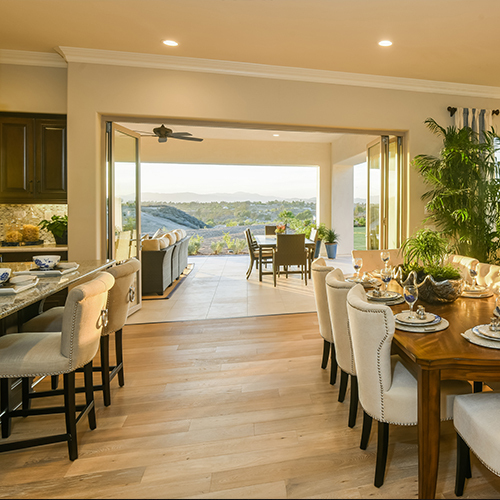 LaCantina Doors create large indoor/outdoor spaces that allow you to enjoy gorgeous scenery and breathtaking sunsets with unobstructed views. 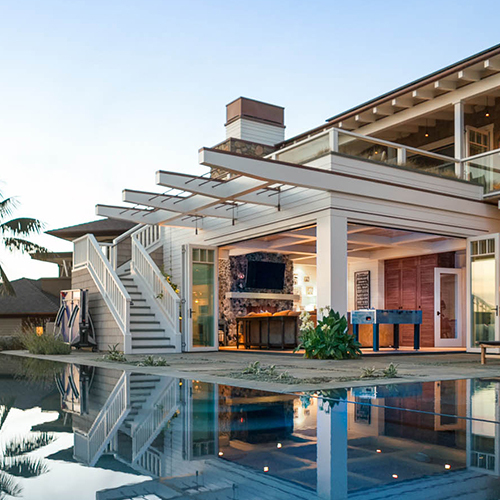 Our comprehensive product range can accommodate guest rooms, suites and villas, outdoor cabanas and even high rise balconies. 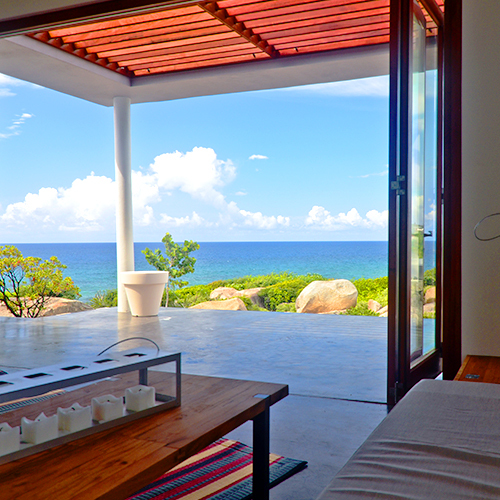 With destination properties competing for return guests, LaCantina Doors add a 5-Star touch worldwide. 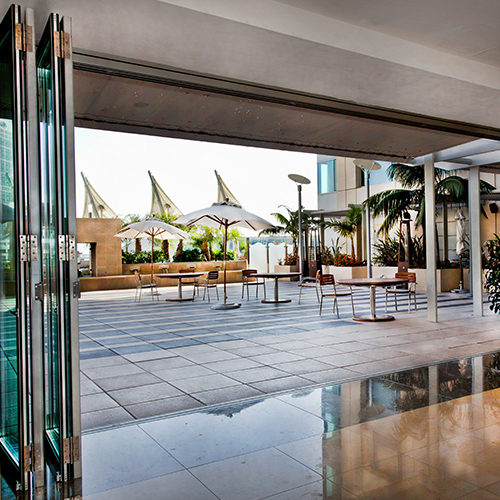 A LaCantina Door system can make better use of interior spaces or create large open spaces by connecting the indoor and outdoor areas of schools, library’s, campuses and museums. 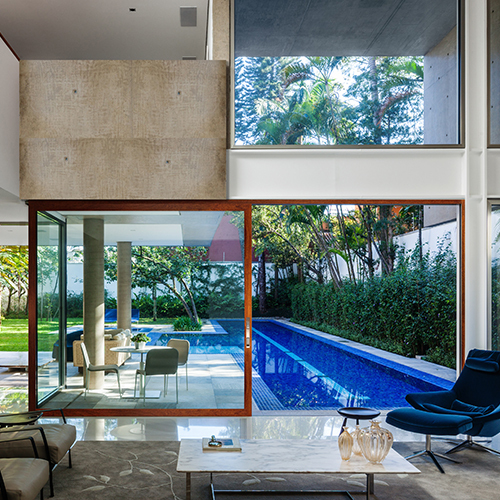 Form meets function with an interior or exterior application. 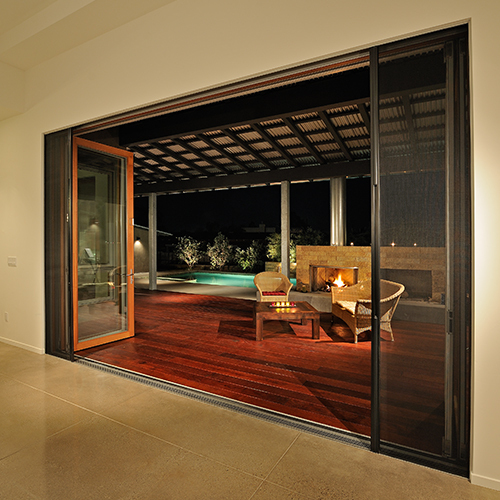 A LaCantina door system is the perfect solution for an interior commercial or residential application. 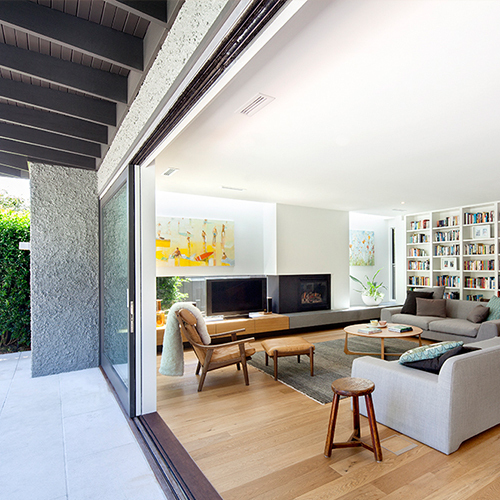 Using our flush guide track allows for a smooth transition between rooms. 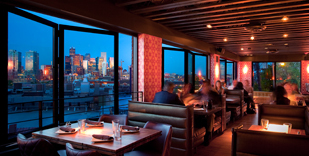 Our innovative window systems create a visually impactful statement in any commercial or residential environment. 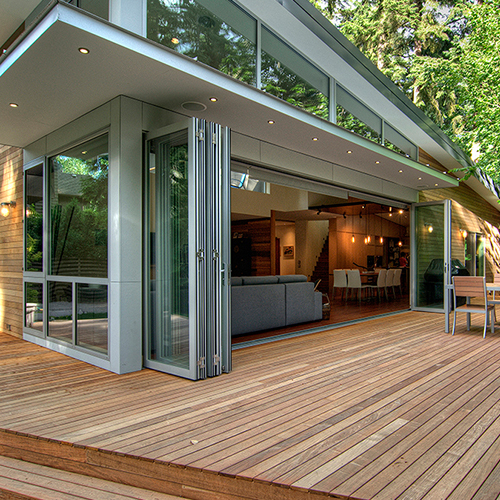 LaCantina Doors window systems come available in aluminum wood, aluminum thermally controlled, aluminum, clad and wood. 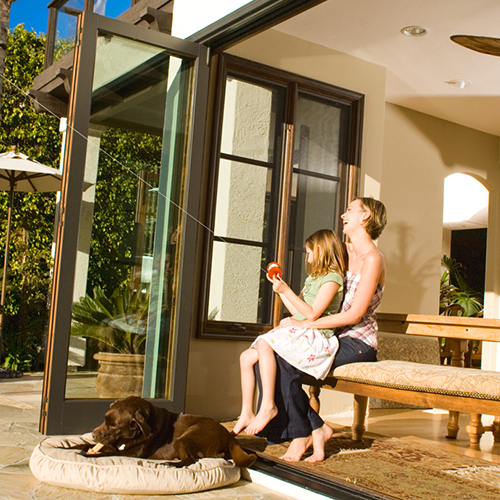 Completely transform your space by pairing a window system with your LaCantina folding doors or have the window system stand alone. 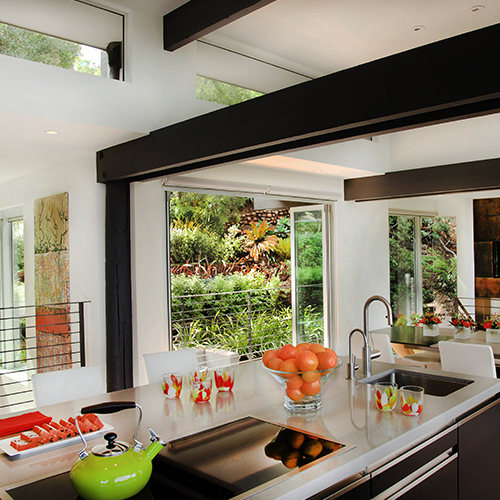 Our servery window is the ideal solution to open kitchens to maximize space for outdoor entertaining. 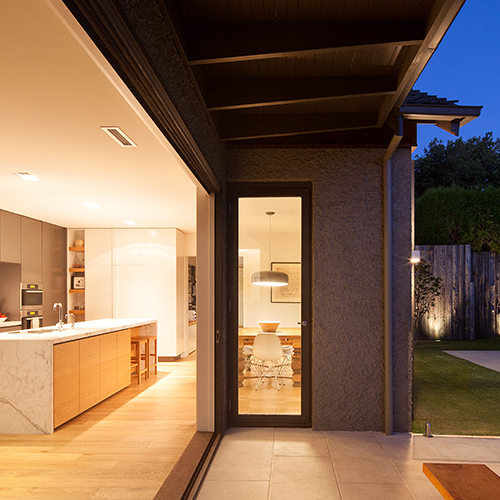 This innovative application requires no bottom track to allow for a continuous countertop providing the largest pass-through opening compared to other impractical window options, such as casements and other window combinations that limit use. 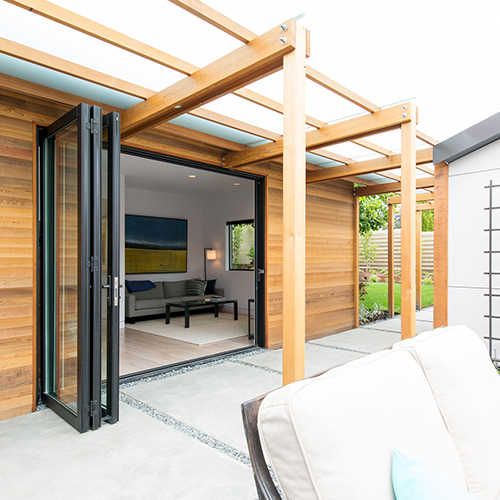 The combination of a door & window system is an innovative design that allows our bifold windows to be connected to our bifold doors without the need for a supporting wall or post. 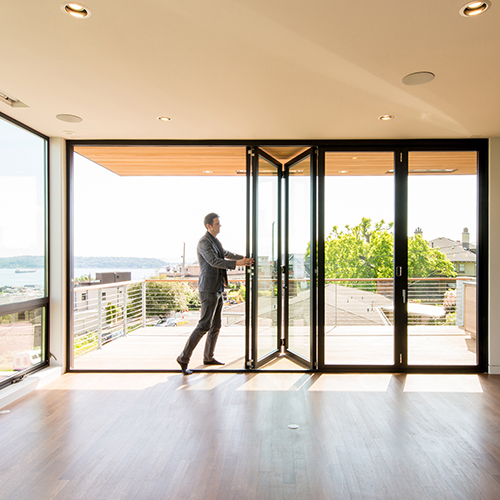 You can also integrate our single daily passage door with a window system. 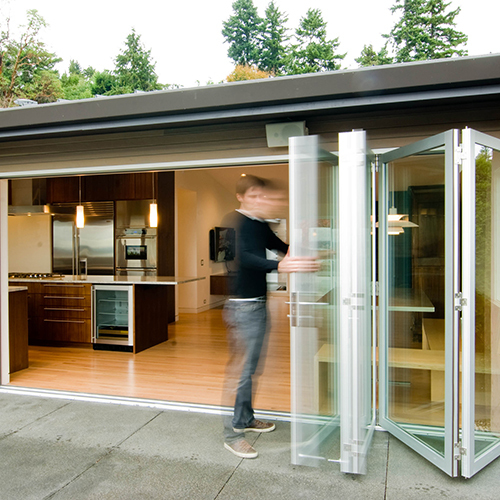 This unique application transforms and opens your kitchens indoor and outdoor spaces. 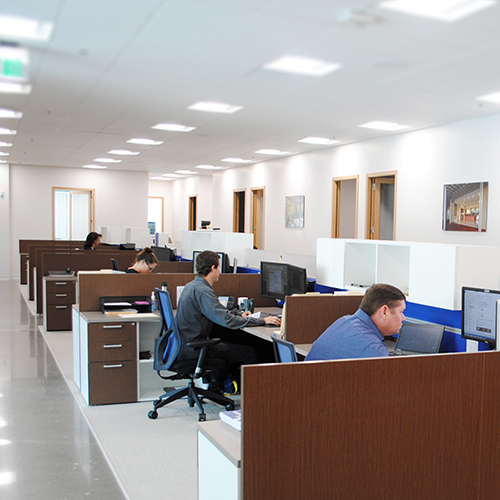 Available across our entire product line. 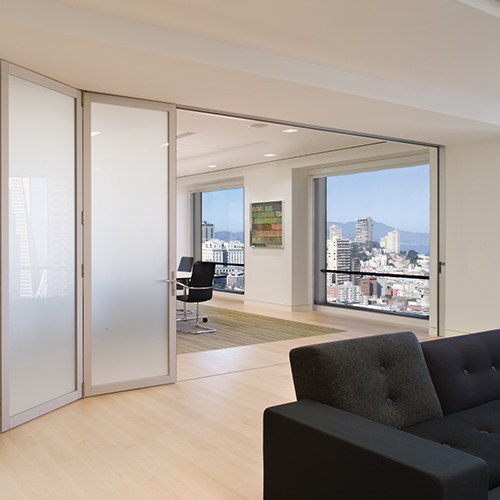 By combining two door system, a 90° zero post corner system opens the whole corner of a commercial space or living room area. 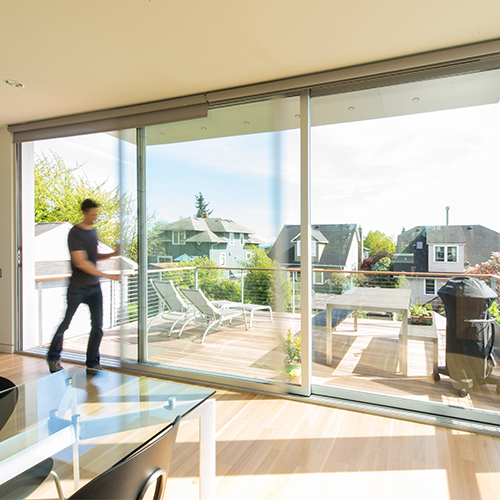 This unique application provides uninterrupted views without the need for a supporting wall or post.